Now you don’t have to dial your customer's numbers manually. We’ll take care of dialing. You just focus on the most important thing: Talking with your customers. 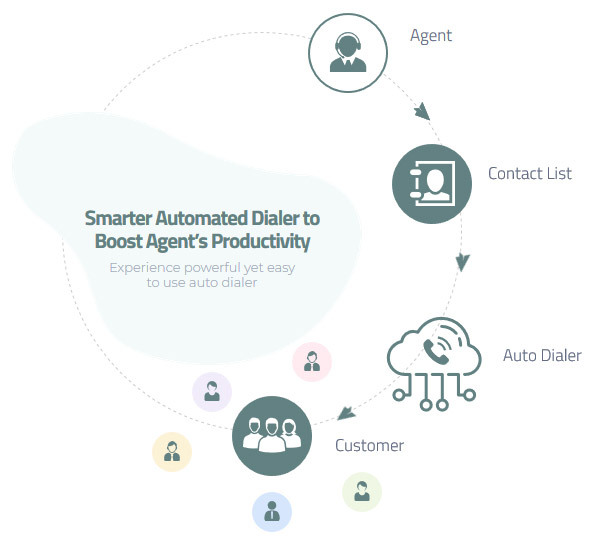 Once your agent has done with a caller, our powerful dialer dials the next caller in queue. This can help to improve agent’s productivity, customer satisfaction, and increase your potential leads. 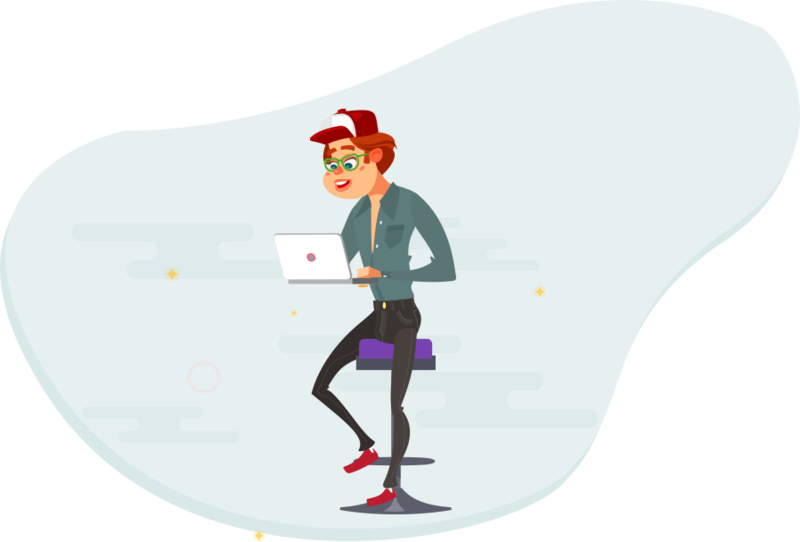 Faster web-based platform with easy interface. You or your agents can easily call your customers without manual dialing. Import your contact list to the application and our smart auto dialer will start to dial these numbers. It’s a great feature to help your agents. A scripted content will be displayed that have live caller’s information. Your agent can easily forward the live call to another agent or department without any disturbance. Want to stop auto dialling and dial a specific number manually? Agents have full control over dialing. Get a busy tone while calling to a customer? You can schedule a callback to your busy contacts. All your outbound calls will be recorded. You have the power to pause or start the recording or a live call. Agents can view a complete history of calls for a customer before calling them. It helps them to understand requirement. Auto dialer provides high level of automation to business organizations and call centers to make a large volume of calls in the shortest possible time. Agents don’t need to waste time to dial contacts manually. This increases the efficiency of agents and improves the productivity of your business. You can intelligently and equally distribute the calls to agents. Agents don’t get to choose which to call or ignore. No bias.